JFI - I have closely watched this event every month. The talent of the cooks, their ingenuity in using the ingredient in an exotic ooh-aah dish or in a simple and wholesome one has astonished me. So, the first thing I wanted to do after I started my own food blog was to participate in JFI. 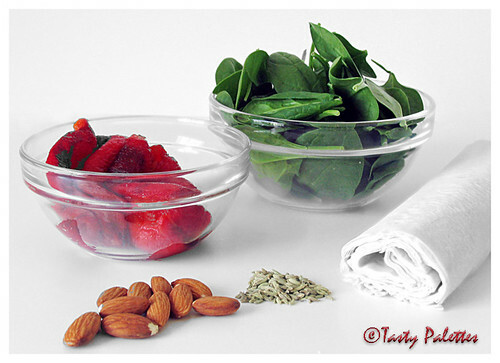 I chose spinach for this month’s JFI – Going Green, and Money Bags Florentine is my entry. But why this name? Go on, read ahead. Catherine de' Medici, the Queen of France, had her cooks prepare spinach in a particular way that she liked. Since these cooks were from Florence, Italy, her home town, any dish with spinach as the key ingredient was referred to as Florentine. And, since the end product looks like a money bag that people used to carry in old days, I dubbed my recipe as “Money Bags Florentine” - served with lemon aioli. Pulse all of the above ingredients in a food processor. The spinach and the pepper should still be chunky. Add breadcrumbs if the mixture is watery. Working with 1 phyllo sheet at a time, cut two 7 inch squares and two 2 inch squares. Brush one of the large piece with oil and place the other large piece at 900 angle to form a star shape. Place one of the smaller square in the center of the star shape and brush with oil. Follow with the second smaller piece. The smaller squares give the pocket a base to sit. Top with a tsp of spinach + red pepper mixture. Bring the edge of the phyllo sheets together to form a purse. Twist and seal. Place on a greased baking sheet and bake in a 3750 for 25 – 30 mins, until crisp and golden brown. I have chosen not to add to cheese as I am serving them with creamy aioli. But if you want to serve them as such, by all means, add any soft cheese like ricotta, gorgonzola, cream cheese or mascarpone. Blend all of the above ingredients smoothly and transfer to a serving bowl. Money bags florentine with garlic aioli. hey first time here, liked the stuffing you used, good pics! 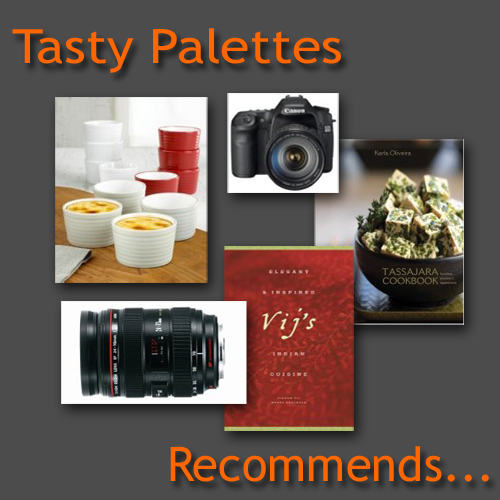 Have you tried the red bellpepper aioli? tastes awesome. Beautiful! !My stuffing is usually Feta and Spinach in Phyllo! Love the new one here.Thanks. Richa, I loooove red pepper aioli with garlic toasts. Oooh!! Someone is planning to get rich here ;-) Come home Priya.. Vl make u looooots of 'em. thanks for dropping by, suganya. it's great to discover your blog. have added you to our blogroll. I have yr to mine too.. Thanks Bee..
Suganya, this is just so creative! I have never worked with phyllo as I am always afraid I will tear it. Which is why I have always put off making baklava. But now I don't thinkI can resist any more! A super super treat from you! Thank you! that sure is a mind blowing entry. congrats for the JFI. pic looks amazing. Manisha, All u need to work with phyllo dough is patience. Keep them covered by a damp towel and they will definitely co-operate. First time to ur blog.Nice recipe.. Absolutely loved the picture. 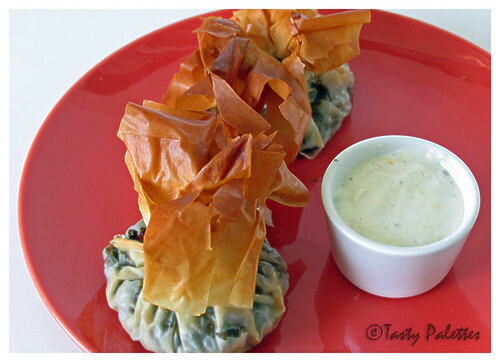 I always love the combo of spinach and phyllo. Will try it for sure. You are a great photographer. I'm literally drooling over your pic. Can't see pictures here, think you are using flickr. read from others the photoes are nice.. I am able to view the pictures frm my machine Seena. I think yr firewall is acting up. 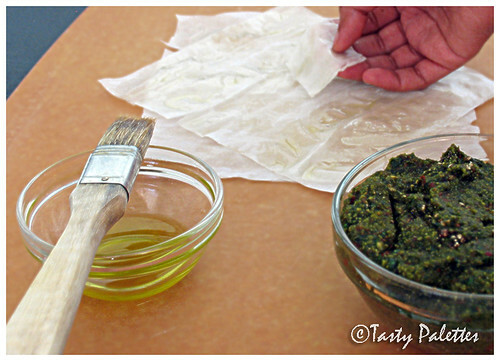 Pls tell me how to go about with the phyllo sheets..
Nivedhita, Working with phyllo requires some patience. Also, you need to keep rest of the sheets covered, while you are making the money bags. They easily dry up and tend to break. So, unroll the sheets, place 'em on a baking sheet (or a big plate), and cover with a moist (not damp) towel. Take the sheets you want and promptly cover the rest.